I’m Karen Reckamp, I’m a medical director for Thoracic Oncology and the medical director for Clinical Research at the City of Hope Comprehensive Cancer Center in Duarte, California. The role of immunotherapy as second-line therapy for non-small cell lung cancer has been established. Most patients who do not receive immunotherapy, essentially checkpoint inhibition PD1 or PDL1 inhibition, as first-line therapy are eligible to receive it as second-line therapy after the standard first therapy. The immunotherapy has shown to improve overall survival for patients over the previous standard of care Docetaxel. Most patients at this point receive immunotherapy being anti-PD1 or anti-PDL1 immunotherapy as second-line therapy. The role of Docetaxel and Ramucirumab has thus shifted as in the initial trial these drugs were used in the setting post first-line chemotherapy. Generally, these drugs are used after immunotherapy as the second systemic cytotoxic therapy. For patients who are not able to tolerate immunotherapy or patients who have active auto-immune phenomenon, the combination of Ramucirumab and Docetaxel is an option and again does provide improved overall survival, improved progression-free survival, and increases tumor shrinkage over Docetaxel alone in patients with non-small cell lung cancer. 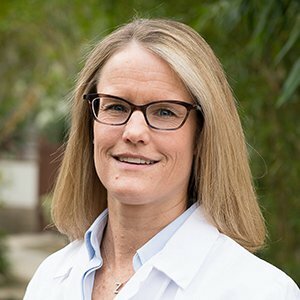 Karen Reckamp, MD, MS, is Associate Professor in the Department of Medical Oncology and Therapeutics Research at City of Hope Comprehensive Cancer Center (COHCCC). She received her medical degree from University of Chicago, and her master’s degree in Clinical Investigation from UCLA. She completed residency training in Internal Medicine at Barnes-Jewish Hospital and a Hematology/Oncology fellowship at the David Geffen School of Medicine at UCLA.